Every person is a musician and with passion and dedication can learn to play music. Learning to play music alongside a great instructor is life changing! Music makes people happier…plain and simple. To teach music and nurture talent in students of all ages while promoting a lifelong enjoyment and love for music. School of the Arts offers private lessons in piano, guitar (acoustic, electric, and bass), voice and percussion. Our instructors teach students in creative and engaging ways while also making each lesson unique to the student’s ability and interest. Many of our students, as young as middle school, consistently serve in our worship services and play in our middle and high school bands. These opportunities are where they get to apply what they have been learning while also serving and leading. That’s what it’s really all about, isn’t it? If you are thinking of enrolling with us…just do it. You won’t regret it! We currently offer private lessons in voice, piano, guitar, and percussion. 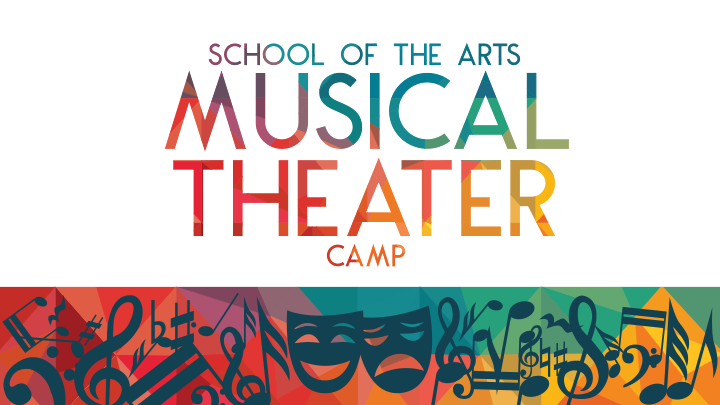 School of the Arts runs on a trimester basis, with fall, spring and summer sessions. Each semester provides the student with a weekly, 30-minute lesson. Lessons are $24 per 30 minute lesson. Fall and spring sessions are 14 lessons over 17 weeks ($336 total tuition). Our summer session is 8 lessons over 10 weeks ($192 total tuition). Those extra weeks are weeks that are put into the semester to allow for student or instructor absence or cancellation. For example, if there are 14 lessons over 17 weeks and no lessons have been missed during the session then you would finish up the session 3 weeks early. How is payment made for the lessons? Payment can be made in full due on or before the first lesson or through four monthly ACH payments. What time commitment is required from the student? Students register for each session. Each session will provide the student with a specific number of lessons within a specifc time frame. For example, a session may have 14 lessons over a 17 week period. The extra weeks provide a small measure of flexibility for the student or instructor in case of sickness or emergency. Our instructors are Christian, professional musicians, each providing years of performance experience. They teach from a performance perspective, training the student to their interest, balancing that with the required skills to produce the best performance. What types of music does School of the Arts teach? Our instructors cover all genres, from classical to jazz to popular music and of course, worship. The student and instructor will choose the best course of study based on the student's musical ability, needs and goals. Lessons take place at the Pathfinder Ministry Center on the 2nd floor. We teach in a variety of rooms. If you drive to the Pathfinder Campus and turn onto the west parking lot (between the church and Einstein's), look for the Ministry Center about 2/3 of the way down the campus. Enter through the Ministry Center door and take the elevator to the second floor. Exit the elevator and a receptionist or instructor will be there to greet you and help you find your room. We have instructors available Monday through Thursday from 3:00pm to 7:30pm. Time slots vary, depending on the instructor's current student roster. There are also a limited number of daytime piano lessons offered during the week. To find specific time slots available, please email Laura Cook, Director of School of the Arts, or call her at 636.779.2386. Please email Laura Cook, Director of School of the Arts, or call her at 636.779.2386. School of the Arts is a self-supporting ministry of Pathfinder Church.